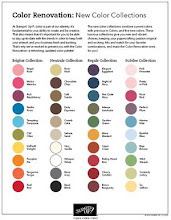 Rubber Room Ramblings: FEBRUARY STAMP YOURSELF SILLY IS JUST AROUND THE CORNER! FEBRUARY STAMP YOURSELF SILLY IS JUST AROUND THE CORNER! It’s time to relax and enjoy some time to unwind while you craft in the Rubber Room. There will be five classes for you to fall in love with. You can take as many as you want, and I know you will REALLY want to take them all. I will provide everything you need for all five classes, a yummy baked potato bar for lunch, snacks, chocolate, coffee, tea, water and a pleasant, peaceful atmosphere where you can relax and luxuriate in your crafting time. 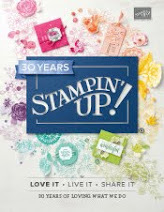 All you need to do is RSVP by midnight Sunday, February 11th, bring your favorite adhesive and your Stampin’ Up! Wish List. 1) KIT WITH CHRIS: Get your very own Lots of Happy Kit and make 20 gorgeous cards (4 each of 5 different designs). Your kit includes everything you need: 7-piece stamp set with block, watercolor pencils, card bases with coordinating envelopes, printed gold foil, white and vellum die cuts… AND, this all comes in a box beautiful enough for gifting! Cost of the class is $45 payable when you RSVP. 2) CELEBRATE SALE-A-BRATION: We will use the Happy Wishes Sale-a-Bration stamp set and pair it with the wonderful new Stampin’ Blends to make10 beautiful cards (2 each of 5 designs). 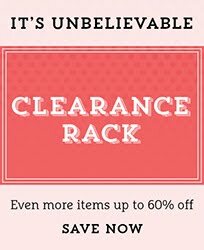 Class is FREE with a minimum $50 order the day of class and one FREE Sale-a-Bration item OR pay $30 when you RSVP. 3) LOVE NOTE LUNACY: Make six love notes (2 each of 3 designs) featuring the HedgeHugs Stamp Set. These are cute little notes you can leave on someone’s desk, stick in their briefcase or lunch box… a little “surprise” to put a smile on someone’s face. We all love to feel loved, so let’s make some special cards to help us spread the love. Class is FREE with a minimum $25 order the day of class OR pay $20 when you RSVP. Want more? You can easily spread twice as much love when you make four of each of these 3 designs. Double the fun for a minimum $50 order the day of class and one FREE Sale-a-Bration item OR pay $40 when you RSVP. 4) MASCULINE MANIA: Need to stock up on those “guy cards”? If so, this class is perfect for you. Use the Truly Tailored stamp set with coordinating punch and other items in the True Gentleman Suite to make 4 awesome cards specially “tailored” for the men in your life. Class is FREE with a minimum $25 order OR pay $20 when you RSVP. Do the Double Dip (make 8 cards; two each of four designs) for FREE with a minimum $50 order the day of class and FREE SAB item OR pay $40 when you RSVP. 5) BIRTHDAY BASH: Use the festive and fun Picture Perfect Party Designer Series Paper to make 6 cards (2 each of 3 designs) AND get a pack of DSP to take home with you so you can make more of these beautiful cards at home. Class is FREE with a $40 order the day of class OR pay $35 when you RSVP. HOW ABOUT SOME FAB FEBRUARY SPECIALS! 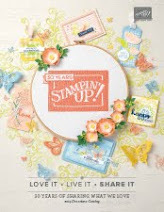 2) Sign up for all five classes, and you can make one class a Stamp-a-Stack or Double Dip for FREE. RSVP BY MIDNIGHT FEBRUARY 11TH, TO SAVE YOUR SPOT! Rubber Room Ramblers get a discount on all their Rubber Room Classes~~ask me about wonderful team discounts, benefits and FREE stamping days. Join our team during SAB you get even more FREE items!